AP Inter Result 2019 LIVE: The Board of Secondary Education of Andhra Pradesh declared the AP Inter result 2019. The BSEAP is also called the Board of Intermediate Education of Andhra Pradesh, which is known by the acronym BIEAP. The AP Inter 1st and 2nd year results of this year released on the BIEAP’S official website at bieap.gov.in. However, websites like results.cgg.gov.in, educationandhra.com, manabadi.com, manabadi.co.in will also host the Andhra Pradesh Board Intermediate result. Last year also, the AP inter result was declared on April 12. The Andhra Pradesh Intermediate result 2019 will be declared soon. Students are advised to stay hooked on the website as the result can be declared anytime now. 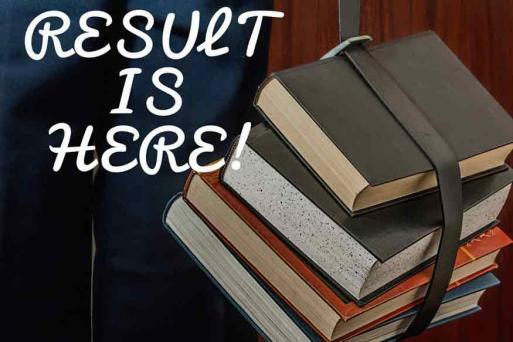 Check Andhra Pradesh Board Result 2019 on Phone | Students anxiously awaiting their result of the Andhra Pradesh intermediate 1st and 2nd exams can also receive their results via SMS. The BIEAP will make the Andhra Pradesh intermediate scores of 2019 available at their official website at bieap.gov.in. Students can also find their results at examreults.net. The Andhra Pradesh Intermediate 1st and 2nd year result can be accessed both online and on personal mobile phones. AP Inter 1st/2nd Year Result 2019 to be Out on Official Website | The Board of Intermediate Education of Andhra Pradesh will announce the AP Inter I and II result 2019 on its official BIEAP website at bieap.gov.in. AP Inter Result 2019 Shortly | The Andhra Pradesh Intermediate 1st and 2nd year result will be declared today at 11am (tentatively). The official website, that is, bieap.gov.in, is expected to turn immensely slow and can even crash as a result of heavy traffic after the declaration of the AP Intermediate result 2019. Therefore, students who had appeared for the BIEAP Inter examination are advised to keep their admit cards or hall tickets handy so that no extra delay occurs.